1. These General Terms and Conditions (GTC) apply, unless otherwise agreed in accordance with these terms and conditions, to contracts for the leasing of hotel rooms for lodging, rental of conference, banquet and function rooms of the hotel for the purpose of holding meetings, conferences and events of any kind as well as all other deliveries and services of the hotel rendered in this context to the guest. 2. The sub-letting or subletting of the rooms, rooms, areas or showcases, the use of the hotel rooms for other than accommodation, public invitations or other advertising, invitations to interviews, sales and similar events and the use of hotel space outside the rented Rooms for the aforementioned events require the prior written consent of the hotel and can be made dependent on the payment of an additional fee. 3. General terms and conditions of the guest apply only if this has been previously agreed in writing. 1. The contract is concluded by the acceptance of the guest’s request by the hotel. The hotel is free to confirm the booking in writing. Contractual partners are the hotel and the guest. 3. 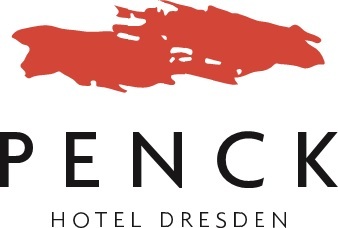 The guest is obliged to inform the hotel without being asked at the latest at the conclusion of the contract, if the use of the hotel service is suitable to jeopardize the smooth business operation, the security or the reputation of the hotel in public. 1. The hotel is obliged to keep the rooms and rooms reserved by the guest available and to provide the services promised by the hotel. 2. The guest is obliged to pay the applicable or agreed hotel prices for the provision of the rooms and rooms and the other services used by him or his event participants. The guest is liable for the payment of all services used by the event participants as well as for the costs incurred by them. This also applies to services provided by the guest, costs and expenses of the hotel to third parties and claims of copyright collecting societies. 3. The agreed prices include the respective statutory sales tax. Not included are local taxes owed by the guest according to the respective municipal law, such as: Tax. If the statutory sales tax changes, the prices are adjusted accordingly; the hotel is entitled to charge the sales tax increase. If the period between conclusion of the contract and performance of the contract exceeds four months and if the price generally charged by the hotel for such services increases, the latter may raise the contractually agreed price in its reasonable discretion, but not by more than 5%. 4. Prices are based on the number of guests stated at the time of booking. A deviation of the number of the guests, in particular with regard to the occupancy of the booked rooms, requires the agreement of the hotel. Prices may also be changed by the hotel if the guest subsequently requests changes in the number of booked rooms, the number of guests booked, the hotel’s service or the length of stay of the guests and the hotel agrees. 5. Hotel bills are due for payment immediately upon receipt without deduction. The hotel can demand the immediate payment of due claims at any time from the contracting party. The contractual partner shall be in default at the latest if he does not make payment within 30 days of the due date and receipt of an invoice; this applies to a contracting party, which is a consumer, only if these consequences are specifically indicated in the invoice. In the event of late payment, the hotel is entitled to demand the applicable statutory default interest. For each reminder after default, the guest has to reminder costs of € 5.00 to the hotel. All other costs incurred in connection with the collection are borne by the guest. 7. The customer can only offset or charge against a claim of the hotel with an undisputed or legally enforceable claim. 8. The guest can only set off against undisputed or legally established claims against the hotel’s claims or assert a right of retention. 1. A withdrawal of the guest from the contract concluded with the hotel requires the written consent of the hotel. If this is not done, then the agreed price from the contract is payable even if the guest does not use contractual services. This does not apply to breach of the hotel’s obligation to take into account the rights, legal interests and interests of the guest, as a result of which he can no longer reasonably be expected to hold on to the contract or is entitled to any other legal or contractual right of withdrawal. 2. If a period for free cancellation of the contract between the hotel and the guest has been agreed in writing, the guest can until then withdraw from the contract without triggering payment or damage claims of the hotel. The customer’s right of withdrawal shall expire if he does not exercise his right of withdrawal in writing vis-à-vis the hotel by the agreed date, unless a case of the customer’s resignation pursuant to Number 1 Sentence 3 exists. 3. In the case of rooms and function rooms not used by the guest without a timely explanation of the free cancellation, the hotel shall offset the income from other leases as well as the saved expenses. 4. The hotel is free to demand the contractually agreed remuneration in the cases of the aforementioned number 3 and to charge the deduction for expenses saved. In this case, the guest is obliged to pay at least 90% of the contractually agreed price for overnight stays with or without breakfast as well as for package arrangements with third-party services, 80% for half-board and 70% for full-board arrangements. 5. If the guest returns after the contract has been signed or after expiry of the contractually agreed free cancellation deadline, the hotel is entitled to charge 35% of the lost consumption in addition to the agreed room rent and the costs for the services of third parties. If the guest returns after the contractually agreed free cancellation date and 21 days or shortly before the date of the event, the hotel is entitled to charge 85% of the lost consumption. 6. The calculation of the consumption is based on the formula: menu price of the event x number of participants. If no price has yet been agreed for the menu, the cheapest 3-course menu of the current event offer is used. Beverages are charged at one third of the menu price. 7. If a conference fee per participant has been agreed, the hotel is entitled to charge 85% of the conference fee x agreed number of participants in case of a later withdrawal. 8. The guest is free to prove that the above claim has not arisen or not in the required amount. 1. If a free right of withdrawal of the guest within a certain period has been agreed in writing, the hotel is in this period in turn entitled to withdraw from the contract, if requests from other guests for the contractually booked rooms or function rooms and the guest on request of the hotel Right to resign within a period set by the hotel. This also applies to the granting of an option if there are other inquiries and the guest is not prepared to make a fixed booking within a time limit set by the hotel. Fixed booking means that as of this day, a contract is concluded and the originally agreed, free right of withdrawal is suspended. 2. If an agreed advance payment or an advance payment demanded in accordance with Part 1 Clause III No. 6 is not made even after expiry of a reasonable period of grace set by the hotel, the hotel is also entitled to withdraw from the contract. – there is a violation of section I no. 2. – opening insolvency proceedings or refusing to open them for lack of assets or otherwise. 5. In the case of justified cancellation of the hotel no claim of the guest for damages arises. 6. Unauthorized interviews, sales and similar events may prevent or require the hotel to cancel. 7. 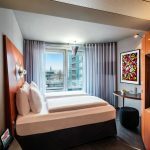 Should a claim for damages of the hotel against the guest arise in the case of a withdrawal in accordance with points 2, 3 and 4 above, the hotel may claim a lump sum. Title 1, clause IV, points 4 to 7 shall apply mutatis mutandis in this case. In such cases, the guest will be able to prove that no or only a small amount of damage has occurred. 1. The hotel is liable with the diligence of a proper businessman for his obligations under the hotel admission contract. Damage claims of the guest are excluded. This does not apply to damage resulting from injury to life, limb or health if the hotel is responsible for the breach of duty, other damages that are based on an intentional or grossly negligent breach of duty by the hotel and damages due to an intentional or grossly negligent breach an essential contractual obligation, the fulfillment of which enables the proper execution of the contract in the first place and on whose compliance the guest may regularly rely (“cardinal duty”). In the event of a slightly negligent breach of a cardinal obligation, the liability of the hotel is limited to contract-typical damages foreseeable at the time of conclusion of the contract. A breach of duty of the hotel is the same as one of its legal representatives or vicarious agents. In the event of any disruption or defect in the services of the hotel, the hotel will make every effort, in the knowledge or immediate notice of the guest, to take remedial action. Incidentally, the guest is obliged to inform the hotel in time about the possibility of causing an exceptionally high damage. The guest is obliged to contribute to what is reasonable, to remedy the disturbance and to minimize possible damage. 2. For things brought in the hotel is liable to the guest in accordance with the statutory provisions a maximum of € 3,500.00, as well as for money, securities and valuables up to € 800.00, if they were kept in the locked room safe. Money, securities and valuables may be held in the hotel safe up to a maximum of the sum insured in the hotel. The hotel recommends that you use this option. Liability claims expire if the guest does not notify the hotel immediately after gaining knowledge of loss, destruction or damage (§703 BGB). Liability only exists if the rooms or containers in which the items were left were closed. The above number 1 sentences 2 to 5 apply accordingly. 3. Insofar as the guest is provided with a parking space in the hotel garage or on a hotel car park, also for a fee, no custody agreement is concluded. In case of loss or damage on the hotel grounds parked or shunted vehicles and their contents, the hotel is not liable. A surveillance of the hotel does not exist. Any damage must be reported to the hotel immediately. The above number 1 sentences 2 to 5 apply accordingly. 4. Wake-up calls are carried out by the hotel with the utmost care. A liability is not accepted. Messages, mail and merchandise for guests are treated with care. The hotel will take care of the delivery, storage and – if requested – the forwarding of the same. The above number 1 sentences 2 to 5 apply accordingly. 5. All claims against the hotel for which the liability is limited according to these terms and conditions, as well as claims for rent reduction in the case of material and legal defects, become statute-barred within one year after the claim has arisen and the creditor of the claim-based circumstances and the person of the debtor Knowledge or obtained without gross negligence. Claims for damages against the hotel, for which the liability is limited according to this provision, as well as claims for rent reduction in the case of defects in title and title, become statute-barred within five years of their occurrence. 1. The guest is liable, as far as he is an entrepreneur, for all damage to buildings or inventory caused by event participants or visitors, employees, other third parties from his area or himself. 2. The hotel may require the guest to provide adequate security (such as insurance, deposits, guarantees). The hotel processes personal data of the guest, such as personal data, contact information, professional and personal data, electronic identification data (IP addresses (log files), data on the PC, browser, etc.) as well as individual data on the customer’s stay, on the legal basis of the fulfillment of contractual relationships. the maintenance of legitimate interests of the hotel as well as compliance with legal obligations. This is for the purpose of reservation, customer relationship management, guest preference management and targeted marketing and promotion campaigns to boost sales and increase customer loyalty (also through direct mail). Personal data is only available to companies within the group that require this data in order to fulfill its contractual, legal obligations and to safeguard legitimate interests. All these agencies are contractually obliged to comply with data protection regulations. 1. Amendments or additions to the contract or this clause, the acceptance of the application or these General Terms and Conditions must be made in writing. Verbal collateral agreements are only binding if confirmed in writing. Unilateral changes or additions by the guest are ineffective. 2. Place of fulfillment and payment is the location of the hotel for all mutual obligations. 3. Exclusive place of jurisdiction – also for check and Wechselstreitigkeiten- is in commercial traffic the corporate seat of the hotel. If a contracting party fulfills the requirements of § 38 (2) ZPO and has no general place of jurisdiction in Germany, the place of jurisdiction is the registered office of the hotel. 4. German law applies. The application of the UN sales law and conflict of laws is excluded. 5. Should individual provisions of these General Terms and Conditions for Hotel Accommodation and Events be or become invalid or void, this shall not affect the validity of the remaining provisions. In this case, the parties will agree on a new regulation that comes as close as possible to the meaning of the invalid provision. 1. The guest does not acquire the right to the provision of certain rooms if it has not been agreed in writing in the Hotel Accommodation Agreement. 2. Booked rooms are available to the guest from 15:00 on the agreed arrival day. The guest is not entitled to earlier provision. Unless a later arrival time has been expressly agreed or the room in question has been prepaid, the hotel has the right to assign booked rooms to other guests after 6 pm without the guest being able to deduce a claim against the hotel. The hotel is entitled to a right of withdrawal. Claims of the hotel under Title 1 Clause IV remain unaffected by this provision. 3. On the agreed departure day, the rooms must be vacated to the hotel no later than 12:00 pm and made available in intact condition. For damages, the guest is liable in accordance with Title 1 Clause VII Number 1. Thereafter, the hotel may charge 50% of the full price of the accommodation (list price) due to the delayed evacuation of the room for its contractual use until 18.00 o’clock, from 18.00 o’clock 100%. Further claims for damages of the hotel remain unaffected by the payment of the agreed price. If the hotel needs to accommodate guests for late arrival at another hotel, the guest will be responsible for any and all costs incurred. Contractual claims of the guest are not justified by this. He is free to prove that the hotel has no or a much lower entitlement to user fees incurred. 1. The preparation of food of any kind in the rooms is prohibited. 2. The rooms may only be occupied by the number of guests stated at the time of booking. Part 1 III Number 2 and Part 1 V Number 3 apply. 3. Employees of the hotel are entitled to enter the hotel room during the stay of the guest for the purpose of cleaning and in emergencies. 4. Pets may only be brought with the hotel’s prior consent and, if necessary, for a charge. 1. For reservations of more than 10 rooms, different policies and additional supplements may apply. 1. Changes to the booked number of participants by more than 5% must be communicated to the hotel no later than ten working days before the start of the event. The change requires the written consent of the hotel. 2. A reduction of the number of participants by the guest by a maximum of 5%, which is communicated at least 1 working day before the beginning of the event, will be recognized by the hotel during the settlement. Any further deviations shall be based on the originally agreed number of participants less 5%. The guest has the right to reduce the agreed price by the expenses that have to be proven by him due to the smaller number of participants. The savings of the guest must be included in the granted tolerance of 5%. 3. In case of a deviation upwards, the actual number of participants will be calculated. 4. In case of deviations of the number of participants by more than 10%, but the guest has no claim, the hotel is entitled to redefine the agreed prices and to exchange the confirmed rooms, unless this is unreasonable for the guest. 5. If the agreed start or end times of the event are postponed and the hotel agrees to these deviations, the hotel may reasonably charge for the additional willingness to perform, unless the hotel is at fault. If the agreed closing times of the events are postponed and the hotel has to accommodate guests due to the delayed eviction in another hotel, the guest will bear all costs incurred for this. Further claims for damages of the hotel remain unaffected. 6. For events that go beyond 24:00, the hotel may charge the staff costs from this time on the basis of individual proof. In addition, the hotel may charge additional travel costs on the basis of itemized proof of costs if they have to return home after the close of public transport and thus incur additional costs. 1. The guest is not allowed to bring food and drinks to events. Exceptions require a written agreement with the hotel. In these cases, a contribution is made to cover the overheads. In the event of the infringement, the hotel shall be entitled to demand a lump-sum compensation per participant in accordance with Part 1 Clause IV Numbers 6 and 7 for the loss incurred by the hotel for the provision of the service. The hotel accepts no liability for damage to health resulting from the consumption of food and drinks. 2. Furthermore, the hotel accepts no liability for damage caused by food and drinks taken after an event by the customer or a third party, unless the hotel is guilty of intent or gross negligence. 1. Insofar as the hotel procures technical and other equipment from third parties for the guest at its request, it acts on behalf of, by proxy and on account of the guest. The guest is liable for the careful treatment, the proper operation and the proper return, even of hotel-owned facilities. He indemnifies the hotel from all claims of third parties arising from the provision of these facilities. 2. The use of the guest’s own electrical systems using the hotel’s electricity network requires its written consent. Disruptions or damage to the facilities of the hotel caused by the use of these facilities shall be charged to the guest, unless the hotel is responsible for them. The electricity costs arising from the use may be charged and calculated by the hotel. 3. The guest is entitled with the consent of the hotel to use their own telephone, fax and data transmission equipment. The hotel can charge a connection fee. 4. Should the hotel’s own facilities not be used by the guest’s own facilities, the hotel may charge a cancellation fee. 5. Disruptions or damage to equipment provided by the hotel, technical or other facilities will be eliminated immediately at the guest’s expense if possible. 6. For the event necessary official permits, requirements and permits, the guest has to procure in good time at his own expense, he is responsible for compliance with public-law requirements and other regulations, compliance with the provisions of noise protection, protection of minors and the like. as well as the payment of GEMA fees. The guest releases the hotel for any use in connection with this number 6. 1. Any accompanying exhibition or other, even personal items are at the risk of the guest in the event rooms or in the hotel. The hotel assumes no liability for loss, destruction or damage, including property damage, except in cases of gross negligence or intent of the hotel in the fulfillment of contractual obligations. In addition, all cases in which the custody is a contractual obligation due to the circumstances of the individual case are excluded from this indemnification. Apart from the cases mentioned in sentence 3, a custody agreement requires explicit agreement. 2. Placed decoration material has to comply with the fire protection requirements. The hotel may request appropriate governmental proof. If such proof is not provided, the hotel is entitled to remove any decorative material that has already been introduced at the guest’s expense or to prohibit its affixing. Due to possible damage, the installation and attachment of decoration material must be agreed in advance with the hotel. 3. Exhibited items or other objects are to be removed immediately after the end of the event. If the guest omits, the hotel may carry out the removal and storage at the expense of the guest. If the items remain in the event room, the hotel may charge a reasonable compensation for the duration of the stay. The guest is free to prove that the claim asserted by the hotel has not arisen or not in the required amount. 4. Other items left behind by event participants will only be forwarded at the request, risk and cost of the participant concerned. The hotel keeps things up for 3 months; after that, the property, if a recognizable value exists, handed over to the local lost property office. The cost of safekeeping has to be borne by the guest. Insofar as there is no discernible value, the hotel reserves the right, after the expiry of the deadline, to destroy it at the guest’s expense. 5. The hotel is liable for items brought in by the guest according to Title 1 Clause VI Number 2. 6. Packaging material, which is incurred in connection with the delivery of the event by the guest or third parties, must be disposed of by the guest before or after the event. If the guest leaves packaging material in the hotel, the hotel is entitled to dispose of it at the guest’s expense.